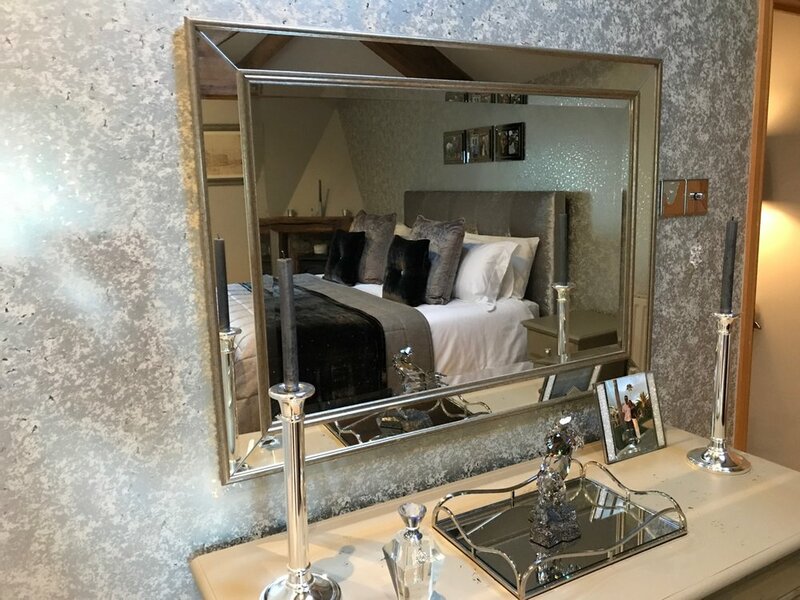 In 2017, we transformed this luxurious, chic master bedroom in Upper Denby, Huddersfield. 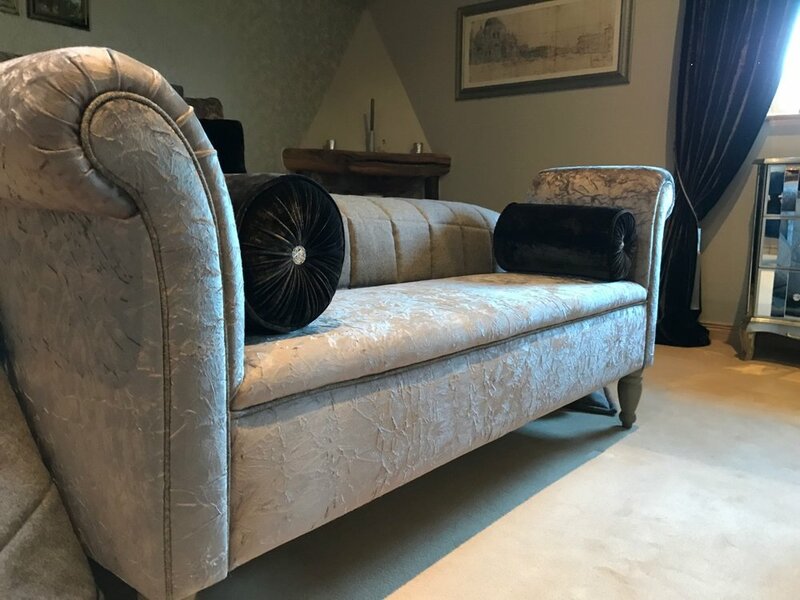 We created large back cushions and bed chaise in Clarke & Clarke velvet with quilted throw and roman blinds in 100% Abraham Moon wool. Curtains, front cushion and bed sash were hand made by Marsh & Co. in sumptuous James Brindley Intaglio Mole crushed velvet. We also worked with the client to specify all wallpapers, paints and lighting. 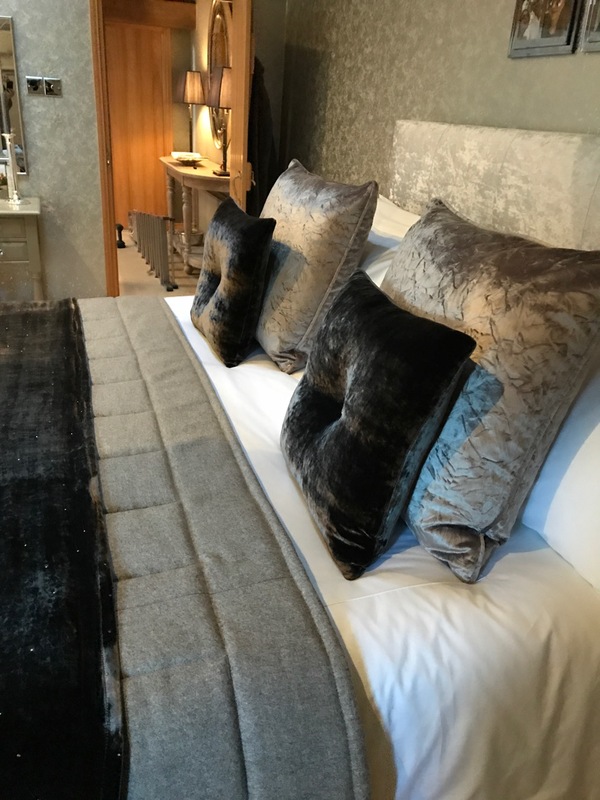 The results were a boutique master bedroom that the client falls in love with every day! A truly professional job. The work was exemplary. It was completed within the timescale set and to a very high standard. There was a wide product range and their ability to assess our needs were spot on. The quality of goods received were as promised - truly reflective of the cost and worth every penny. I am delighted with the outcome. My house looks amazing and I would strongly recommend Gary and his team. Thank you.